Starting out on a ride! In the small rural community where I was raised, bicycles were the best way to get around for those too young to drive. At first glance, riding bicycles may seem similar to riding horses. Both require similar balancing skills. Both require directing movement via subtle shifts in body position. Both provide a good workout to leg muscles, lower back and abdominals. Both amplify the rider’s effort with increased power and speed over what could be achieved on foot. Yet the two are vastly different. Bicycling is strictly about the rider. The bicycle is merely a tool…an unfeeling machine with no personality and no will of its own. If a bicycle ever fails to go where intended it’s either due to the rider’s mistake or a broken part. Bicycling is a solo experience. 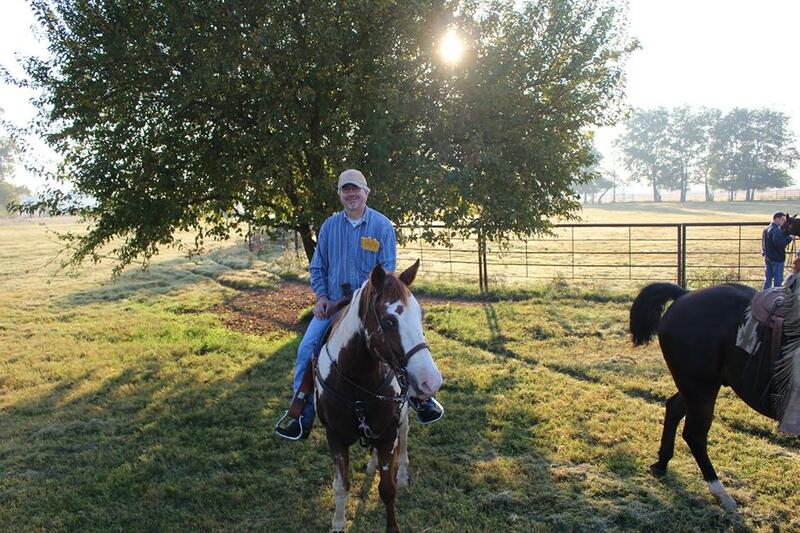 Horseback riding is a completely different experience. It’s a partnership between rider and mount. Each horse has his own personality, his own desires, his own preferences, and his own will. The horse does not lose his own personality while serving the rider. However, when all goes well, the horse does submit his will to the rider. The horse chooses to go where the rider directs, at the speed the rider determines. This submitting of the horse’s will to the rider is not a one-time thing. It is nonverbally discussed with each ride, and may be frequently renegotiated throughout the ride. Riding horses is a bit like parenting. 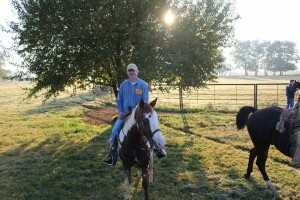 Like children, each horse has a different personality and a different learning style. Like children, each horse tests the boundaries from time to time…each in his own way. Like children, each horse has his own unique fears and his own level of training and maturity. And just as in raising children, the horse learns from every interaction…every action either reinforces good behavior or opens the door to learning undesirable behavior. The wise rider considers all these factors while riding (since I never expect to be a skilled rider, I’m working diligently toward becoming a wise rider). There is another similarity, though, between bicycling and horseback riding. In both cases, when done well, the rider is in control of all decisions. In bicycling, control is simply a matter of developing riding skills and learning to trust those skills. Control in horseback riding includes the additional factors of the horse’s training, clear communication between horse and rider, and mutual trust. My horse must learn to trust I will not lead him into danger. I must learn to trust the horse to go where I direct. It’s a relationship between horse and rider. However, within that relationship of mutual trust, there is also the need to earn the trust…and for both parties to remain constantly aware that the other is not 100% trustworthy. Any horse on any given day may behave badly under the wrong circumstances…and every rider makes mistakes. The relationship of mutual trust is something both parties grow into as the relationship deepens. Nowhere in this process does the horse lose his free will. Yes, I have reins, bit and spurs to aid both in communicating my intent and in providing consequences to ignored instruction. But I cannot make the horse do anything…I can only communicate my intent and respond with corrective consequences when my intent is not followed. The horse is multiple times bigger, stronger and faster than me. I cannot make him do anything…I can only strongly encourage. And sometimes a horse will choose to completely ignore a rider’s directive and follow his own will in contradiction to the rider’s expressed will. The horse never loses his free will. Rather, he exercises his free will in choosing to submit his will to the will of the rider. And yet, despite being mounted on a creature with a free will that may run contrary to mine…a creature that is much larger and stronger than me…I start every ride with a high level of confidence that I will reach my destination, by my desired route, at my preferred pace. If a novice rider like me can have that level of confidence in my plans being worked out through the free will of my mount, how much more confidence should we have in God’s ability to bring His plans to fruition through the daily faulty choices of imperfect people? As humans, we find it difficult to understand how God can be sovereign while allowing us free will. We tend to see these as mutually exclusive and drift toward either seeing ourselves as bicycles with no true free will at all, or seeing ourselves as free-range horses in charge of our own destiny. God calls us to something so much better…to a personal relationship with Him, based on ever deepening mutual trust…and complete confidence that He will complete the good work He has begun…the good work of being conformed to the image of Christ…of learning to surrender our will to His. This entry was posted in Faith, free will, God's Position toward Us, Horses and tagged free will, God's plan, God's sovereignty, God's will, truth by joe. Bookmark the permalink.